The Journal of Information, Communication and Ethics in Society just published ten papers (on which I'm the first or co-author) reporting on an international survey regarding attitudes to Snowden's revelations in various countries in a special issue Vol 15(3). See my Publications page for details and links to open access versions of the accepted texts. 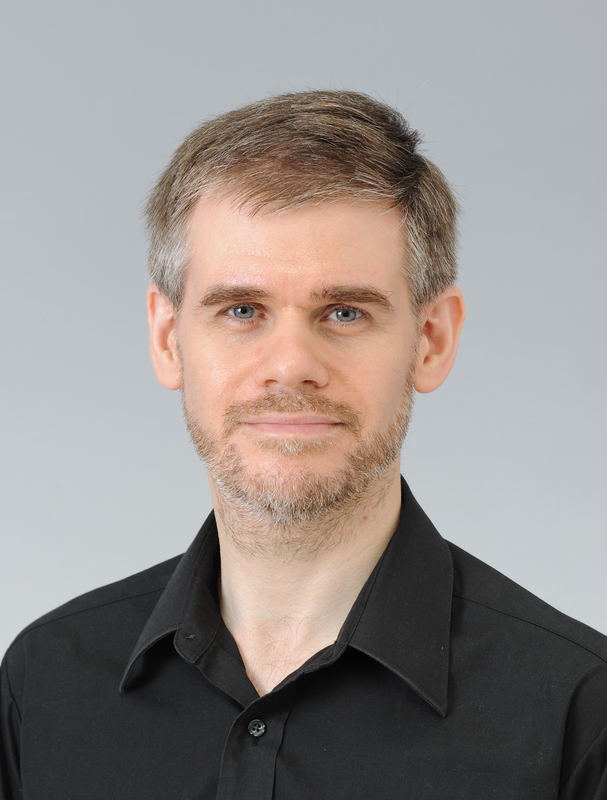 I am Deputy Director of the Centre for Business Information Ethics (CBIE) at Meiji University in Tokyo, currently as a part-time research fellow on the EU Horizon 2020 RRING project. I also teach on a contract basis at the Graduate School of Business Administration at Meiji University. My email address is aaa at Meiji (which uses an ac.jp domain name). My office is Rm 408G of the Global Front Building on Meiji's Surugadai Campus. The ACM: I am currently a member of the Ethics and Plagiarism Committee which reports to the Publications Board. I was previously on the Executive Committee of SIGCAS, the ACM Special Interest Group on Computers and Society, as Chair (from 2011-14) and Past Chair (from 2014-17). I am also a member of the Asian Privacy Scholars Network, and a co-opted member of its secretariat. I am a Fellow of the Open Forum Academy. I have profiles on LinkedIn, Community of Science and Academia.edu. I have a BSc in Mathematics and Computational Science from the University of Leeds, an MSc in Computer Science also from the University of Leeds, a PhD in Computer Science from the University of St Andrews and an LLM (Masters in Law) in Advanced Legal Studies from the University of Reading. This is my work page. I maintain a personal stuff page (links for my hobbies and interests, that sort of thing) as well as a blog and a gallery. I am a multi-disciplinary researcher looking at social, legal, and ethical aspects of computer and communications technologies. I previously engaged in research in computational logic and computer mathematics. See below for details. Here are details of my current research projects, with details of funding where they are specifically supported. See below for details of completed projects. Privacy, and related questions of surveillance and security is one of my core interests and areas of expertise. This project aims to create an international network of organisations involved in RRI (Responsible Research and Innovation), including organisations funding research, performing research and deploying the end results of research. I have been researching Japanese government identity systems since 2007. As part of this I hosted a JSPS Visiting Fellowship (L12535) by Prof Graham Greenleaf of UNSW from September to December 2012. See my publications list for an article about the new Japanese My Number system. I presented some early work on this at the Net-ID 2009 conference and more recently I presented a talk on An Annotated Timeline of Japanese Government Citizen Registration Schemes at the Third Asian Privacy Scholars Network Conference. The CBIE had a contract from 2014-2018 with KDDI Research Inc. to support user acceptability research of user-managed personal information usage systems. We continue to collaborate with researchers there on an unfunded basis. Together with Prof Shirley Williams and Prof Naz Rassool of the University of Reading I supervised the PhD of Dr Tharindu Liyanagunawardena on Information communication technologies and distance education in Sri Lanka: a case study of two universities. Since completing her PhD, Dr Liyanagunawardena has continued working as a researcher while Prof WIlliams has retired, but we continue to collaborate as a group. See my publications list for details of our joint papers. We continue to work on issues including the emergence and maturation of MOOCs, the related issues of Open Educational Resources, and distance higher education in general. In 2010, the KDDI Research Foundation funded the CBIE to perform "A Comparative Study of Young People's Online Behavior between Japan and the United Kingdom". The primary output of this project was a translation (linguistically and culturally) of the work of Prof Shirley Williams and her team at the School of Systems Engineering, University of Reading on training materials for students about managing their digital identity. In addition to translating their original material into Japanese for university students, the CBIE produced a version for junior high school and high school students in Japan. I have continued to work on the issues of digital identity with Prof Williams and others, including recent work on shared identities and secret identities. I have run a number of conferences and workshops related to my SLE research, and am on the steering committees of some. The Asian Privacy Scholars 4th International Conference on Privacy in the Social Networked World was held at Meiji University in Tokyo in July 2014. I am a co-opted member of the APSN secretariat, which oversees membership and conference organsation. The Asian Privacy Scholars 2nd International Conference on Privacy in the Social Networked World was held at Meiji University in Tokyo in November 2012. USEC 13: The 2013 Workshop on Usable Security was held in Okinawa in April 2013 as a workshop of the Financial Crypto and Data Security 2013 conference. Here are details of my prior research projects, with details of funding where they are specifically supported. See above for details of my current projects. My move from the UK to Japan in April 2010 means that some of these projects were completed by others after I left. I was one of the co-Investigators on the MEXT (Ministry of Education, Culture, Sports, Science and Technology, Japan) Programme for Strategic Research Bases at Private Universities (2012-16) project "Organisational Information Ethics" (S1291006). I was the Principal Investigator on a JSPS grant Organisational and Individual Behaviour, and Personal Information Protection in the Age of Social Media (Kakenhi (B) 24330127) investigating the legal, business, technological and social rules influencing issues of privacy. The UK's EPSRC supported visits to Meiji University from 2008-2010 to collaborate with Prof Murata and Dr Orito with the grant Anglo-Japanese Information Ethics: Comparisons and Cross-Fertilisation (EP/G069808/1). The Royal Academy of Engineering supported a sabbatical visit to Tokyo in 2007 via a Global Research Award. During this time I was also a Visiting Professor at Meiji University. Dr Ferryman, Dr Wei and I collaborated at the University of Reading on this EPSRC project, along with academics at UCL and Kingston University. This project, which started in January 2009, aimed to develop automated systems to support the identification of separated items, particularly in transport hubs and other high risk sites. Separated items are almost always lost luggage or carelessly dropped large litter. However, the use of explosive devices by various terrorist groups necessitate a cautious approach to separated items. Quick automatic support in identifying the activities of depositors of separated items will allow false alarms to be quickly and efficiently dealt with while causing minimal disruption to services, without abandoning caution and safety. Partners included: SELEX S&AS (part of Finnmeccanica), the French Atomic Energy Commission and the University of Leeds. Starting early 2009, this project had the objective of improving the efficient monitoring of travellers in land and maritime border control areas. Partners included: SAGEM Defense and Security division, Thales, the Swedish Defence Research Agency, the Romanian Border Police and the Port of Lisbon. Starting early 2009 this project developed an integrated mobile security kit which will allow the economically efficient increase of security for one-off or short term events such as major sports championships or international political meetings (G8, CHOGM) without either the expense or the risk to privacy of a permanent installation of surveillance equipment. Improved security will also be expected from the flexible combination of appropriate subsystems targetted to the specific threats in place, the layout of the site and the type of event. Partners included: Saab AB, Telespazio, the French Ministry of the Interior and the German Football League. Bioterrorism: Resilience, Research, Reaction (BIO3R) was a supporting action grant under the EU's Preparatory Action for Security Research mechanism. I was the Principal Investigator at The University of Reading on this project, leading the Workpackage 440 (Ethical and Legal Issues), collaborating with Universitaetsklinikum Bonn and Nomisma S.p.A.. The University of Reading also led the Dissemination Workpackage 630, on which Dr Yinshan Tang of the Informatics Research Centre took the lead. EuropCop: the European Pedestrian Policeman is an EU PASR supporting action grant. I was the principal investigator at Reading on this project. Reading leads the Workpackage 240 (Social, legal and ethical issues), collaborating with FRS, TNO and the French Interior Ministry. The University of Reading also led the Dissemination Workpackage 120, on which Dr Yinshan Tang of the Informatics Research Centre took the lead. ISCAPS: Integrated Surveillance of Crowded and Public Areas was an EU PASR project grant. The Principal Investigator at Reading was Dr James Ferryman. I was the leader of workpackage 230 (Social, Legal and Ethical Aspects). The University of Reading was involved in many of the other workpackages in this project. Mr P. Parslow (University of Reading). We deployed online surveys in English, Japanese, Korean and (Simplified) Chinese asking a broad range of questions about responders use of electronic equipment from video recording devices to smartphones to games consoles to PCs, and their activities and attitudes to the digital information they purchased, used and created using these devices. I collaborated with Dr Ian Brown of the Oxford Internet Institute on copyright issues and the ethical questions raised by ubiquitous computing in healthcare systems. I co-authored (with Dr Rachel McCrindle of the University of Reading) a text book on the social and professional issues of the information society. Pandora's Box published by Wiley in December 2007. 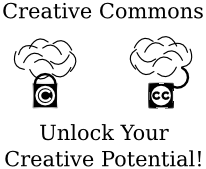 I gave a University of Reading Public Lecture in November 2004 on "Copyright v Creativity". I promote the digital rights of ordinary people wherever I can in my work and am involved in a small way in various approaches to this. I am one of the Founding 1000 of the Open Rights Group (ORG) and a member of their legal issues discussion group. I am an individual member of the Non-Commercial Users Constituency (NCUC) (one of two constituencies of the Non-Commercial Users Stakeholder Group (NCSG) which is part of the Generic Names Supporting Organisation (GNSO) at the The Internet Corporation for Assigned Names and Numbers (ICANN)). If you're still reading after that alphabet soup above, NCUC provides input into the process by which generic top-level domain names like .com (but not country-level domain names like .uk or .jp) are run, acting to present the interests of individual internet users and other non-commercial entities. I'm a supporter of the Creative Commons concept and release some of my work under CC licences, such as this image. I used to do research in Computer Mathematics, although my focus has now switched to social, legal and ethical implications. I worked with Dr James Anderson (The University of Reading) and Dr Norbert Voelker (University of Essex) on formal presentations of the TransNumbers related to Dr Anderson's Perspex Machine model of computation. I have worked with a number of different systems including The Coq System (in which I did my PhD) and PVS. I was involved in the Calculemus Initiative on combining the facilities of theorem provers and computer algebra systems. I was a research fellow at the Universitaet des Saarlandes in 2001 on the EU 5th Framework Calculemus project and held a grant from the UK EPSRC (GR/S15044/01) to continue collaboration with the group of Prof Siekmann there. I was a member of the EU 5th Framework project MKMNet (including UK EPSRC funding on grant GR/S10919/01) which performed initial investigation into the new area of Mathematical Knowledge Management. See my paper from the MKM '03 conference: Digitisation, Representation and Formalisation for my views on the general direction of this work, called "a manifesto for MKM" by one of the conference referees. I was the conference chair of the 2006 MKM conference MKM 2006. Publications list is up to date as of 26th July, 2018. I am looking for good candidates to supervise for PhD study in the broad area of Social, Legal and Ethical implications of computer and communication technology. If you would be interested in studying with me at Meiji University in Tokyo, please send me your CV and some initial research ideas. Funding may be available for high quality candidates. Submission of a thesis in English or Japanese is allowed at Meiji University. I do not have any interest in undergraduate student interns. Emails from Indian Institute of Technology (or similar) students looking for an internship will be ignored. I have previously taught classes ranging from Information Society (to a range of graduate students at Meiji University) to technical subjects including discrete mathematics, programming design methods and functional programming (to computing and other systems engineering students at the University of Reading). My email address is aaa at Meiji (which uses an ac.jp domain name).